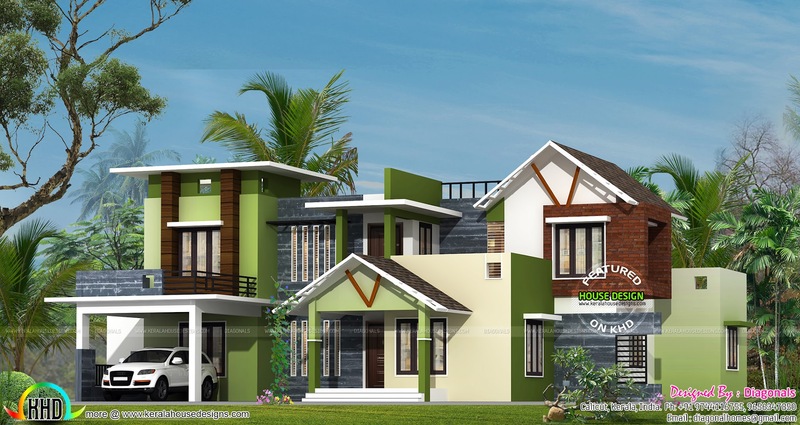 2933 Square Feet (272 Square Meter) (326 Square yards) modern mix roof residence architecture. Design provided by Diagonals, Calicut, Kerala. 0 comments on "2933 sq-ft mix roof residence architetcure"